“Our little school has been open for 19 years now,” Jakov Pliner stresses this phrase four times during our meeting. The former member of the Latvian parliament seems nervous. He runs a private Russian school called Evrika in Riga. Housed in the building of a former Soviet kindergarten, the school sits in the inner courtyard surrounded by nine-story apartment bloc buildings. Pliner has a small office at the school that smells of cigarette smoke. “Me and famous people,” he points to the walls covered in photographs of himself standing next to former Latvian presidents and a famous actress. On his desk, there are books bound in shiny covers. They are the reason for our meeting. The books offer methodological recommendations for teachers in Latvia’s Russian schools, and they were published with the help of financing from the Russkiy Mir (Russian World) foundation in Russia. The foundation was established under the wing of Vladimir Putin in 2007 to support Russian compatriots abroad. Russkiy Mir is led by Vyacheslav Nikonov, who used to be an aid to the KGB’s last chairman and is well known as grandson of the legendary foreign minister of the former Soviet Union Vyacheslav Molotov. Among its board of trustees are Vladimir Yakunin, a close friend of Vladimir Putin and the head of the Railroad state company (RZD); and Sergey Lavrov, Russia’s foreign minister. 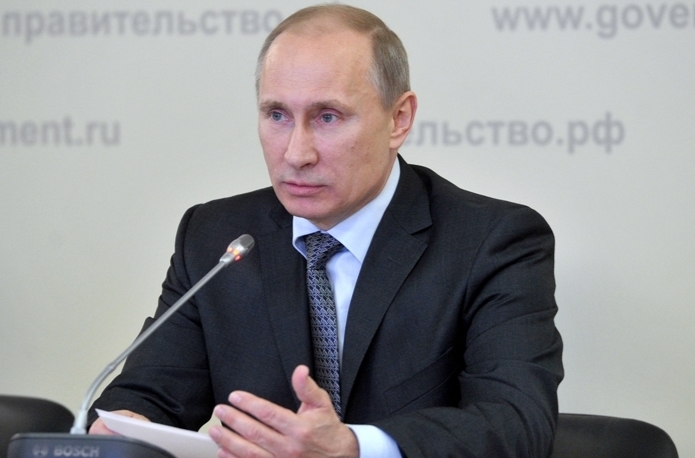 The board of trustees and directors must be approved by Putin. In the past few years, Pliner’s Parents for Children foundation has received more than 50,000 euros from the Russkiy Mir foundation. The books were co-written by Pliner and former member of parliament (MP) Valerij Buhvalov, who is a member of Pliner’s party (For Human Rights in a United Latvia). Buhvalov received another 12,000 euros from Russkiy Mir. Buhvalov and his Russian cultural association, Veche wrote educational materials two years ago about “the Great War of the Fatherland,” on the role of Soviet Russia in World War II, with the stated aim of preserving the national identity in young Russian Latvians. “Preservation of national identity is enshrined in the law, but no resources are being provided for it,” says Pliner explaining shortcomings in Latvia’s educational system. He stubs out another cigarette. A short man with a moustache and expressive birthmarks on his cheeks, Pliner doesn’t seem to be concerned that he is chain-smoking at the school. Pliner’s and Buhvalov’s projects are just a few of many that have been financed by Russkiy Mir. The foundation is proud of its transparent structure. Unlike other Russian institutions where connections determine distribution of financing, Russkiy Mir accepts grant proposals from anyone. The Russian state earmarked 1 billion rubles (about 20 mln. euros) for Russkiy Mir for the first two years of operations (2007-2008). That, however, is where the transparency ends. Trying to get more recent information about its funding activities in the Baltic States from Russkiy Mir itself was not successful – the foundation did not return repeated phone and email inquiries by Re:Baltica. The foundation offers only some public information on which organizations it funds. Most recipients who talked to Re:Baltica said that they signed confidentiality contracts with the foundation agreeing not to disclose the source of their funding. But this is a violation of the Latvian law, which demands that non-governmental organisations (NGOs) disclose the names of its donors. After several months of investigation, Re:Baltica found more than 20 organizations in Latvia which received money from Russkiy Mir over the past four years. But only one of them stated in its annual report that it received funding from Russia. Re:Baltica was able to calculate the approximate number of grants approved by Russkiy Mir in Latvia since 2008, and our total exceeds 170,000 euros. The money has been used to organize cultural events and conferences. Books have been published, and films have been produced – most often in praise of the mightiness of the Russian nation, frequently whitewashing the darker sides of the Soviet Union, including the occupation of the Baltic States. Russkiy Mir publicizes itself as a cultural organisation, but among those who have received money from it in Latvia are well-known Russian politicians and activists. Some of the organizations funded by the foundation have Pliner and Buhvalov (.pdf) as their members. The same is true of For Human Rights in a United Latvia party leader Tatjana Ždanoka (.pdf), as well as the Harmony Center party leader Nil Ušakov. Another person is Aleksander Gapoņenko, who initiated the referendum on the Russian language as a second national language in Latvia in 2011. Such quizzes, essay competitions and military songs are all a part of Buhvalov’s suggested curricula that he wants teachers to use in their lessons on the importance of the Great War of the Fatherland. He received 12,000 euros from Russkiy Mir to support projects with similar orientation. “Schools spend no more than three to four hours on World War II. We believe that children must know their roots and their true history,” says Pliner. Buhvalov nods in agreement. He has an athletic body, is clean-shaven, and has tightly pinched lips. He worked together with teachers from Latvia’s Russian schools to write the curricula, which includes memoirs and photographs of war victims and veterans. Picture of starving children from “Salaspils”. 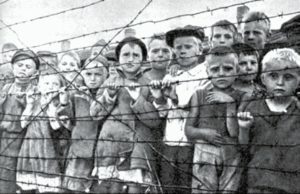 In one photo, a group of starved children with sad faces stand behind a barbed-wire fence. The caption: “Salaspils. Many children died here because of a loss of blood.” The author of the photo is not identified, as in most photos used in the materials. A quick search in Google for “children in concentration camps,” reveals the photograph of “children in Salaspils.” But the caption states that the photograph was taken at a concentration camp in Poland. During our conversation, Pliner notes several times that Buhvalov has a doctorate in education. He wrote a chapter titled “Liberating Latvia from Fascism.” Without any references to sources, the chapter offers advice about what to tell schoolchildren about World War II. In October 1944, we read, the people of Rīga “welcomed the restoration of the Soviet regime and praised the Red Army which liberated them from fascism. The arrival of the Red Army meant an end to terror and murder of civilians. [It meant] restoration of the economy and a calm and peaceful life.” The text does not note that the arrival of the Red Army in Latvia meant the restoration of the Soviet occupation. Uldis Neiburgs is an historian at the Latvian Occupation Museum, and he believes that in the long-term the impact of the one-sided instructional materials can lead to calling Latvia’s independence and territorial integrity into question. The authors of instructional materials continue to pursue the Soviet-era myth about the Great War of the Fatherland, Neiburgs says. “They are not encouraging students to feel a sense of belonging to the Latvian state; they are ignoring Latvia as a state and the complex destinies of the wartime generation during World War II,” says the historian. Instructional materials and films can be downloaded from the homepage of Buhvalov’s Veche organization (www.svoi.lv). Russkiy Mir provided a total of around 50,000 euros for these projects. The Veche Internet page also offers films which have not been financed by Russkiy Mir, but are similar in their view of World War II – “Heirs of Victors,” “65 Years Since Latvia’s Liberation From Fascism!”, and “Victory Day – Our Celebration.” The Latvian Security Police investigated the latter of the films, but found no anti-Latvian propaganda, Pliner says after lighting another cigarette. 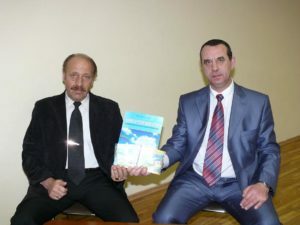 Pliner and Buhvalov don’t know how many Russian teachers use these materials, which they say does not need to be approved by the Ministry of Education and Science. (The Ministry of Education does not track the number of violations in terms of educational content in Russian schools.) 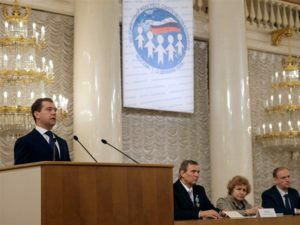 “There is a good number of schools – a few dozen or so – where the course ‘Foundations of Russian Culture’ has been taught for several years,” says Pliner. “The For Human Rights in a United Latvia party is dead. The party is no longer alive and will never be resurrected,” Aleksander Gapoņenko explains at a cafeteria in Rīga over his drink while he analyzes Russian politics in Latvia. Gapoņenko positions himself as an academic whose business is the non-governmental organization European Research Institute. Unlike Latvian oligarchs, who used official power for years to fill their own pockets, Gapoņenko is not a citizen of Latvia and has had no such opportunity. On the other hand, he managed to gain influence in the political environment of the Russians of the Baltic States, receiving funding from Russia and the EU in his work defending the rights of his compatriots. Published in 2010, it received additional money from the local government of Moscow. Gapoņenko declines to say how much money he received from Russkiy Mir. “The agreement was confidential,” he says. It is unlikely that people will find out how much Gapoņenko’s latest book, “Discrimination Against Russians in the Baltic States: Reasons, Forms and Ways of Overcoming It,” cost. He presented the book in Moscow and Rīga at the beginning of the year. 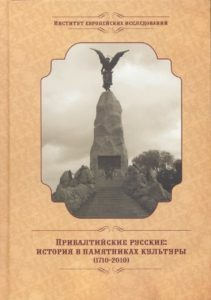 The Moscow Human Rights Bureau financed the publication of the book. Gapoņenko says that he was investigated by the Corruption Prevention and Combating Bureau in 2011 in relation to the activities of his new organization Native Language. The public knows more about the two other co-founders of that organization: the radicals Vladimir Linderman and Jevgēnij Osipov. “Our main goal in establishing the organization was to battle for the rights of Russian residents, but the main idea was the referendum,” Linderman, 54, said in advance of the language referendum. Youthful and charismatic, Linderman spent time in prison for traitorous activities both in Moscow and Latvia. Linderman says that he joined Gapoņenko’s Native Language as “a representative of the Russian intelligentsia.” Linderman says that he does not know all of the sources of financing of the language referendum, because the campaign took on its own life on a wave of popularity, and other organizations began to support it without an approval from Native Language. 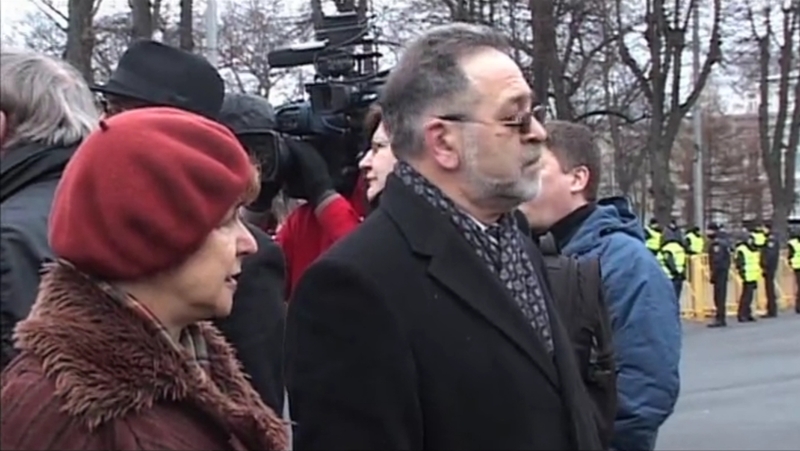 After the referendum, the Security Police announced that Gapoņenko was one of the true initiators of the process. 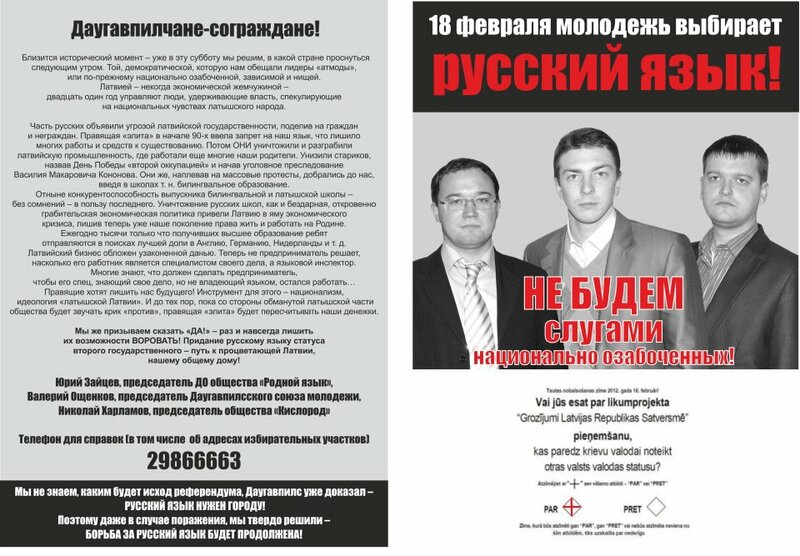 Linderman and Osipov acted more as billboards. Behind the scenes in politics, some sources say that the real initiators of the referendum were Gapoņenko and Harmony Center’s leader Jānis Urbanovičs. Even if Gapoņenko supported the language referendum at the encouragement of the Harmony Center, it would be too easy to link him only to that party. He’s been involved in Latvian politics since the restoration of the country’s independence. Like a cunning fox, he purposefully makes friends with everyone. In 2010, in honor of the 300th anniversary of the absorption of Latvia and Estonia into the Russian Empire, Gapoņenko designed and awarded medals to a series of ambassadors and defenders of Russian rights in the Baltic States and Moscow. 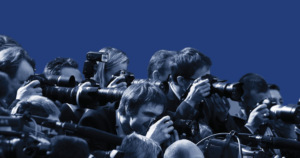 Medals were awarded to the ambassadors of Russia, Uzbekistan and Azerbaijan, as well as to media representatives of Russia who write about the way in which Russian rights are ignored in the Baltic States. Gaponenko is involved in many non-profits working on Russian issues in the Baltics. “All right, fine. You can see by my calls that yes, I am in touch with him,” Gapoņenko says unwillingly when asked whether he also helps coordinate the Native Language branch in Daugavpils. Yes, he is in touch with the director of the branch, the local journalist Jurij Zaicev. Headquartered in Daugavpils, the branch is in a small office with room for just one desk and three chairs. It may be a paradox, but the 25-year-old Zaicev, who only has a high school education, is a member of For Human Rights in a United Latvia party, which competes with Harmony Center. In the course of a long conversation with Zaicev, it is clear that Gapoņenko is an authority for him. Shortly before the most recent language referendum, Daugavpils was flooded with advertising brochures in which Zaicev and leaders of the local youth movement Oxygen were seen under the slogan “Let’s Not be Servants to Nationalists!” Gapoņenko published the slogan on his Facebook page. More than 80 percent of voters in Daugavpils voted in favor of Russian as a second state language in the referendum on February 18th, 2012. Zaicev and Gapoņenko both have acquaintances in Moscow who believe that the USSR must be reinstated. On a local Daugavpils portal called Grani.lv, in October 2011, Zaicev wrote about attending a conference organized by the “Russia International” organization to discuss the situation in Latvia. 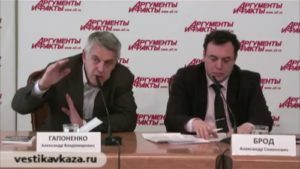 Zaicev writes in his article that “Russia International” is a “Putinist affiliate: the All-Russian People’s Front for Compatriots.” Zaicev represented the Latvian media at the event, he claims. Delegates at the conference decided that Russia must actively support its compatriots abroad, and a special politburo was set up for this purpose. Meanwhile, Yermolayev and Kolyerov have been under the increased supervision of security institutions in Latvia and Estonia for some time now. Kolyerov is the chief editor of the Regnum news agency in Russia, which “is used as a platform to implement various attempts to have informative influence [in Latvia],” the Latvian Bureau to Protect the Constitution (SAB) wrote in its 2010 annual report. 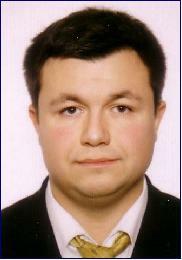 The SAB report also mentions Yermolayev, who worked for the Russian Embassy in Rīga from 2002 and 2005. 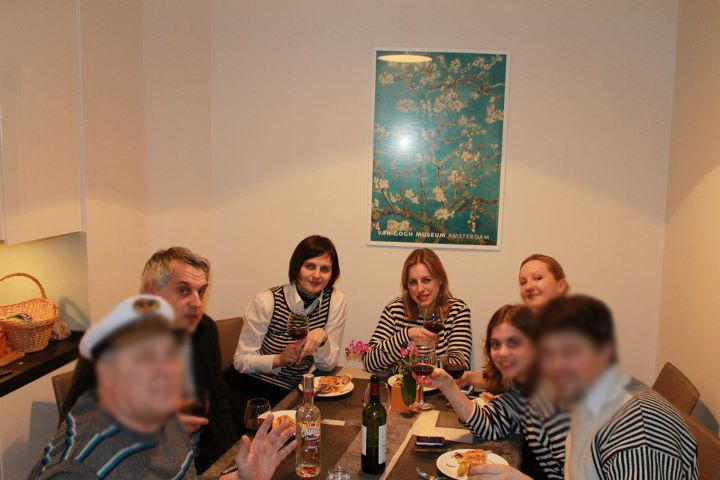 In 2005, the SAB declared him to be an officer of Russia’s espionage service, and he has not been allowed to enter Latvia ever since that time. “The World Without Nazism” conference was held in Moscow earlier this year. Among participants were a number of the Harmony Center’s MPs (Nikolaj Kabanov, Sergej Dolgopolov), European Parliament member Tatjana Ždanoka, Latvian Anti-Fascist Committee head Josif Koren, and Gapoņenko, who has known Yermolayev for years. He argues that allegations that Yermolayev is a Russian spy are inflated. Whether that is true remains to be seen. For several months now, Gapoņenko’s acolyte in Daugavpils, Zaicev, has been eagerly campaigning in favor of a new referendum: one that would automatically award citizenship to Russians who live in Latvia. For Human Rights in a United Latvia proposed the referendum. It seems unlikely that Zaicev is doing it without the approval of Gaponenko. “What kind of a question is that? You came here to talk about Russkiy Mir?” Tatjana Ždanoka snaps. “We are not going to be talking about the For Human Rights in a United Latvia party at this time.” The tea in our cups remains untouched. Another visitor is waiting for Ždanoka. It is Saturday afternoon, and the Euro-MP is in Rīga just for the weekend. When asked how it is that her party member in Daugavpils, Zaicev, is calling on people in that town to sign a petition in favor of another referendum with the support of Gapoņenko, Ždanoka delivers a brief discourse about the history of her party. She squints a bit and says that she has no objection if members of her party are involved in NGOs, as long as their goals coincide with those of the party. Ždanoka’s initiative about a new referendum is also described in the January issue of the Russkiy Mir foundation’s monthly magazine. In the article “Give us a Referendum!”, Euro-MP Ždanoka argues that the situation of Russians in Latvia can only be improved if “we demonstrate power as we did back in 2003 and 2004,” when there were protests against reforms at Russian schools in Latvia. Ždanoka calls on people to sign petitions for the referendum so as to get rid of the concept of “non-citizens” in Latvia. That would mean automatic citizenship. Then, she told the newsletter, there will be a new discussion about granting Russian the status of a second state language in Latvia. Ždanoka is a popular and frequent guest in Russia, especially with Russkiy Mir. In 2009, at the World Congress of Compatriots in Moscow, she had a seat of honor at the presidium and listened to the addresses of Russian President Dmitry Medvedev and Prime Minister Vladimir Putin. Sitting next to her at the table was the secretary of the Russian Security Council (and a former head of the Russian Federal Security Bureau), Nikolai Patrushev. Ždanoka also regularly attends annual Russkiy Mir assemblies. 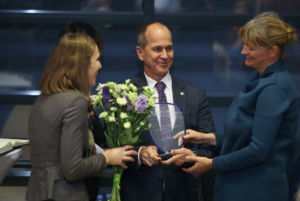 When an official office for Russkiy Mir was opened at the Baltic International Academy in Rīga in 2009, Ždanoka cut the red ribbon together with the owners of the academy and Russian Ambassador Alexander Veshnyakov. There are two official Russkiy Mir centers in Latvia at this time: one at the Baltic International Academy, and other at Daugavpils University. Each year these branches receive 18,000 euros in financing, books and office equipment, as well as grants for individual projects. Initially the foundation hoped to open an office at the University of Latvia, but it was rebuffed. It seems that Russkiy Mir is now slowly steering in the direction of schools. In February of this year, a “Russian language classroom” was opened at the Valmiera State Gymnasium located in the region which is considered as the most “Latvian” in the country. The school’s principal, Jānis Zemļickis, says that the school is open to a variety of activities, including ones that are aimed at popularizing Russian culture. This year the foundation provided the school with more than 400 books in Russian, and it has promised that next year it will also buy a projector for the school. When trying to establish the exact amount of funding that’s coming to Latvia from Russkiy Mir, Re:Baltica can only rely on the sums cited by the recipients. Over the course of several months, Re:Baltica wrote, sent e-mails and rang the foundation’s office in Moscow with a request to confirm which organizations the foundation supports and at what levels, but to no avail. The annual reports issued by the foundation only states that over four years of operations, grants were made to over 800 projects in the European countries, Russia and other CIS countries. The organizations that are mentioned in this paper were selected from information on the Russkiy Mir homepage, annual reports and lists of grant applicants. Relevant laws in Latvia are stricter than is the case in the other Baltic States. NGOs in Lithuania are not required to submit the sources to anyone, although they have to provide information if their members or the news media ask for it. A Re:Baltica journalist in Lithuania asked for information from dozens of NGOs, but received answers from only a few. Annual reports in Estonia have to be filed with the Revenue Service, but the names of donors do not have to be disclosed. NGO financing is seen as a commercial secret, just as is the case with corporate revenues. Accordingly, NGOs are a very convenient tool for channelling money into Baltic countries for political purposes. Ždanoka says that organizations which are linked to her have received approximately 30,000 euros from Russkiy Mir for various activities. The main job was to unify Russians in Europe so as to achieve official status for the Russian language in the European Union. The European Alliance of Russian Speaking Young People was registered in Rīga in 2010 to bring fresh blood to the process. Its leaders include people from all three Baltic States. Best known is Mikhail Kolvart in Estonia. He is currently deputy mayor of Tallinn and a leader of the Russian speaking community. He has aggressively opposed reforms of Russian schools in Estonia. Old Guard or New Guard? “We have a signed agreement which does not allow us to say how much they gave us,” says Margarita Dragiļe. The young woman is dressed in a business suit, and she never lets go of her mobile phone. Sitting opposite her is Olga Gogina, and her hands are nervously trembling a bit. The two of them categorically refuse to say how much money their Perom organization received from Russkiy Mir. They will say that the money was used to set up a homepage, www.perom.eu, which is aimed at unifying various Russian youth organizations from a number of countries. The women say that the financing will end this year, and the sum will be listed in the organization’s annual report next year. All of the most active Russian youth NGOs of Latvia have joined Perom, and most of them are linked to Harmony Center and its charismatic leader, the Mayor of Riga, Nil Ušakovs. The most visible Ušakovs organization is a co-founder of Perom called, It’s On Our Way, and Olga Gogina worked for it a few years ago. She was responsible for organizing competitions for “clever and witty young people” at Russian schools as well as for organizing discussions with interesting people. Reports from the organization show that most of these people were representatives of various professions from Russian-speaking circles. There were people from the First Baltic Channel television station, a psychologist, a cosmonaut from Moscow, and several MPs from Harmony Center. The only Latvian was the famous investigative journalist Jānis Domburs. Ušakovs told Re:Baltica that representatives of the US and French embassies have also attended such events. The e-mail correspondence of Ušakovs which was leaked to the media in 2011 shows that It’s On Our Way sought money from the Foreign Ministry in Moscow to organize an international youth conference in Rīga in 2009. The Russian Embassy in Rīga, via which this correspondence with Moscow occurred, was told that the costs of the conference would be 16,300 euros. The embassy was also given reports on a different conference, which was organized the same year. It’s On Our Way also publishes a school newsletter, Prishkolynaya, which has also received funding from Russkiy Mir. Prishkolynaya is a monthly, issued in 5,000 copies, and is distributed at more than 40 Russian schools in Latvia. 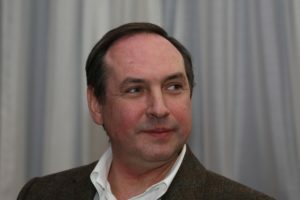 Ušakovs’ e-mail correspondence shows that in 2009, the local government of Moscow provided 4,944 euros for the publication of Prishkolynaya. This sum does not appear in the organization’s annual reports in 2009 and 2010, however. Neither do they show money from Russkiy Mir. Ušakovs claims not to remember the specific sums of money which came from Russia to publish the newsletter and organize the conferences. He says that It’s On Our Way told Russian organizations what was needed, and the bills of service providers were paid directly. This payment system appears in the projects of other organizations, as well, Re:Baltica has found. That does not mean, however, that the organization does not know who received money and how much was paid because in requesting financing, the organization does submit a budget. The most notable and loudest project of It’s On Our Way is “May 9.” This project even has a separately registered organization, and Ušakovs and members of his team are its leaders. The aim of “May 9” is to care for the World War II veterans and to honor Russia’s victory over Nazism. Resembling Soviet-era patriotic films about conscientious Pioneers, some 400 schoolchildren took part in various campaigns in 2009, meeting with war veterans and presenting them with gifts. 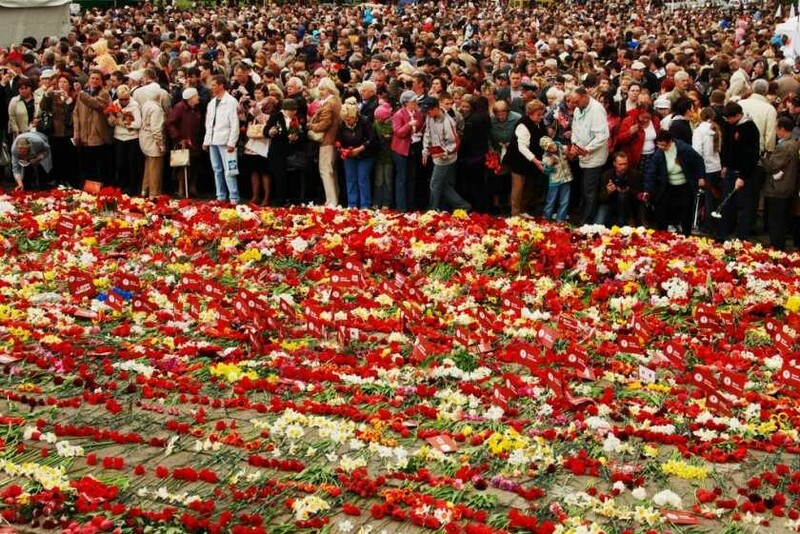 On May 9, at the Victory Monument in Rīga, vodka flowed, red carnations withered, and thousands of people pinned the Ribbon of St. George to their chest. Ušakovs’ e-mails offer a different picture. Patriotism was very useful for the political career of the young politician. 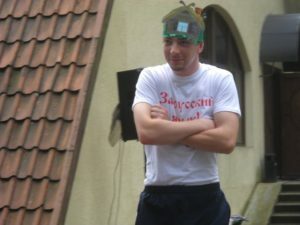 Ušakovs was very purposeful in using the May 9 celebration in 2009 as a campaign platform for Harmony Center just a month before the upcoming local government election. 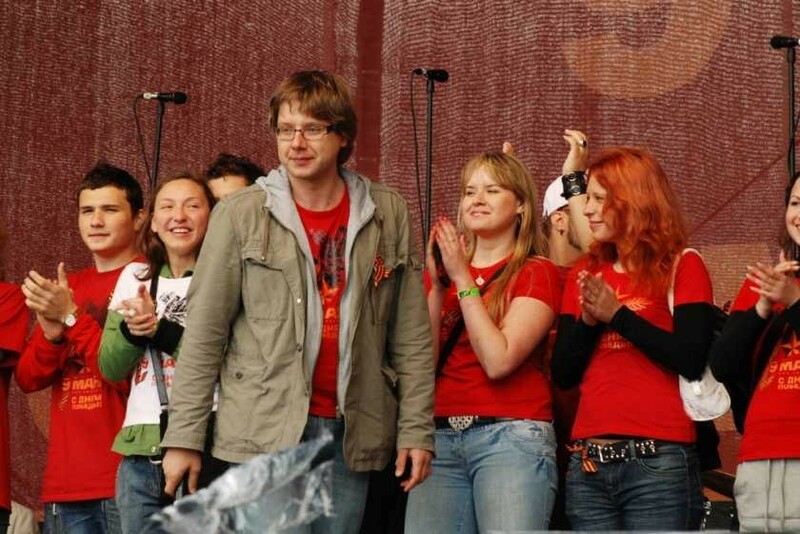 The First Baltic Channel (PBK) ensured vast publicity for Ušakovs and his activities, and it has the largest audience of Russian speakers in the Baltic States. PBK frequently agreed with Ušakovs on the text and length of stories that were broadcast. Ušakovs also concluded a charitable partnership agreement with PBK, and the television station promised to broadcast free information about the project. The agreement said that the intensity of the process increased day by day as the election approached. In essence, this agreement is reminiscent of a way of using an NGO to avoid campaign spending limitations. This thought is confirmed by e-mails between Ušakovs and his subordinates on the one hand, and the advertising division of Latvia’s largest Internet portal, Delfi, on the other. In one letter, Ušakovs’ assistant asks Delfi whether some of the party’s advertising can be financed from the budget of the “May 9” organization without changing the discount. That would mean that the spending would not have to be shown in campaign spending reports. The e-mails suggest that the total sum of advertising was at least 18,000 euros, and “May 9” covered approximately one-third of that cost. Ušakovs claims that “May 9” only paid for an ad in which people were asked to donate money so that gifts could be purchased for veterans. He says that Delfi was asked to add the sum of that agreement to Harmony Center’s advertising agreement so as to get a bigger discount. It is not possible to confirm this claim, because this is, again, a commercial secret. Delfi did confirm to Re:Baltica that “May 9” bought advertising from the portal, but “for ethical reasons,” the portal cannot comment on details. A scheme in which a third party pays for a party’s advertising expenditures is nothing new. Leading Latvian parties have done the same in advance of national and local government elections. The Corruption Prevention and Combating Bureau is currently investigating Harmony Center’s spending. Increased media attention was focused on the fact that in one letter, Ušakovs wrote that the total cost of the 2009 election would be around 9 million dollars, though in its official declarations, the party only listed $671,000. The May 9 celebrations paid off for Harmony Center in 2009, when local residents were hit by the economic crisis and disillusioned with Latvian politicians. The party won the local government election in Rīga convincingly and received 30 percent of seats on the Rīga City Council. Its On Our Way director Svetlana Savicka became a member of the council. Another board member of the NGO, Vadim Baraņņik, is a childhood friend of Ušakovs and heads the legal department for the First Baltic Channel. He is chairman of the influential Traffic and Transportation Committee of the Rīga City Council. Gogina and Dragiļe claim that May 9 celebrations, which cause negative emotions among many Latvians, do not mean that people are celebrating the occupation of Latvia. Like other recipients of money from Russkiy Mir, For Human Rights politicians Pliner and Buhvalov join the two young ladies in explaining that the ceremony at the Victory Monument is meant to commemorate the destruction of fascism. The young women admit that they came up with that idea on their own and without the influence of politicians. They are tired, they say, of “the old guard” teaching them how to live, but they do not believe that Latvia was occupied after World War II. They say that it is a philosophical issue, which has to be studied further with the help of archival information. The mission of Perom run by the two young woman is supposedly to engage young Russians in Latvia and abroad in politics and impact policy. For instance, they want to ensure that Latvia observes the terms of the European Minorities Convention, says Gogina. She was referring to the European Convention for the Protection of National Minorities. Russian activists believe that when Latvia ratified the convention, it opted out of several elements without justification. One would allow people to communicate in Russian at certain state and local government institutions. The second would reinstate street names in both languages.